Join Laurie today to create unique backgrounds by mixing text and image stamps. Laurie, this card is so pretty! Thank you for showing the steps of stamping your background. It makes it so clear how to layer sentiments and floral images. I love this look. Love your technique creating the background!! Such a pretty card Laurie!! Beautifully done, Laurie! One can never go wrong using hearts IMO. This card rivals or outshines any card mass produced by any company! Visually stunning and a joy to look at. I would die to have someone send me this card. Just gorgeous, Laurie, you are one of the best in the business! This card is simply beautiful! I love creating custom backgrounds as well and adding text to images is very classy and a great idea. Thank you. 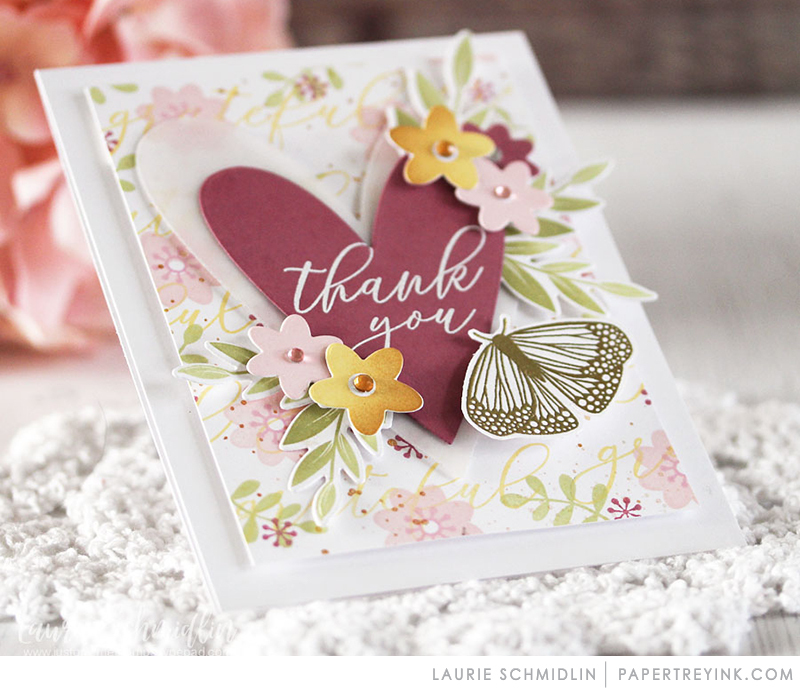 Your card is really exquisite Laurie! 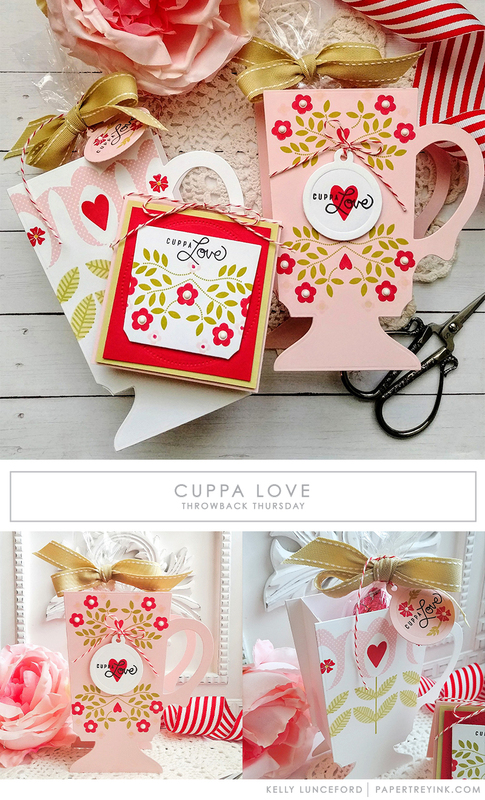 Thank you for showing us how to make gorgeous cards using the PTI products. I keep coming back to look at this gorgeous card. I love the colors and the perfect placement of every single item you’ve added. As one tidy-up guru asks “Does it bring you joy?” Yes, indeed it does! Laurie, this is a beautiful design! While there are many different techniques and mediums to create backgrounds, this is another gorgeous example of how lovely they are. I’ve been inspired by your designs for a long, long time. Well planned, executed, and photographed. Absolutely top notch designs – always! So beautiful perfect for those wedding invites!